The Cowboys hit the road this week after being off last Saturday and will look to run their winning streak to 3 games when they take on the Utah State Aggies in Logan, UT. The spread had the Cowboys as 3 point underdogs on the road when the email went out to the panel. Coming out of the bye, which player or position group (not named Josh Allen) needs to step up their play the most? I will go with two and they are the offensive line and running backs. Wyoming must consistently run the ball better moving forward. 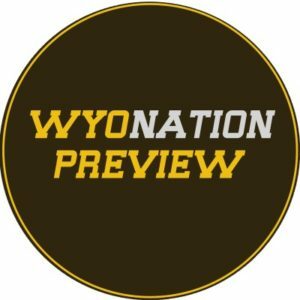 The issues through five games haven’t been on any one player or position group, but whether it is the blocking up front or the backs hitting and finding the holes better, all must improve so Wyoming isn’t so one-dimensional offensively. This goes back to the first question, but if the true freshman is the main guy moving forward, he must play beyond his years. We’ve seen flashes, and any running back is as good as his offensive line. Woods doesn’t need to be the next Brian Hill, but he needs to be the best Trey Woods he can be. He’s been a disruptive force through five games. Whether he makes tackles or not, he must continue to get a good push up front to open things up for other defenders behind him. The defensive tackle spot is one of the most important areas in a 4-3, Tampa Two scheme like UW runs. Ghaifan must continue to play like his has through the first five games. Be somewhat balanced and a lot more consistent on offense. Continue to be solid on defense, and winning the turnover battle, and be better in special teams than Utah State. The Offensive line. The group continues to shuffle this week, with Cummings starting at RT, and while the running backs obviously need to get more production still, the line isn’t entirely blameless. And giving Allen plenty of time is a great way to make him comfortable. He took too many hits in the first five games, even though he has been bailing on the pocket less than last year. Assuming he’s back, his size could be a big factor in the receiving game, even if he’s not at 100 percent. Wyoming can use all the big bodies in the receiving game it can get. Kevin Prosser gets back this week from a shoulder injury and even without him Garrett Crall has impressed. Wyoming’s defensive line has done well this year, and an offensive line that allowed seven sacks last week could be in for another rough game. Wyoming needs to fare better in the time of possession battle. The Cowboys defense has been very solid overall (36th or better nationally in both scoring and total yardage), but getting off the field on third downs hasn’t been their forte (97th overall). And the offense needs to help itself out, too (98th in third down conversions, 103rd in time of possession). The rushing attack. It’s been nearly non-existent so far. Trey Woods lost his redshirt and was thrust into the starting role. Bohl and his staff hope that will jumpstart the rushing attack. So far it has proven effective, but not nearly effective enough to where we’d call it a success. Need to see more from that group if we’re going to be doing anything in the post-season. Utah State gives up on average 195 yards per game rushing, this looks like a good week for the Pokes to break out of their rushing slump and run that football. Wilson is leading the team in tackles, the Pokes will need him to keep being a disruptive force in the mid-field. Can I predict an interception here? If so, then I think he picks one off this week. Get off to a hot start and take the Aggies out of it at their home stadium right away. The Cowboys should be able to run the ball on these guys, it’d be good to grind their defense down early and open up the scoring late. The Cowboys came out particularly slow against Texas State before the bye, then went off for 28 points in the second quarter. It’d be nice to see some points in the first quarter for a change. The wide receivers especially C.J. Johnson took a step forward against Texas State. With a big road game in Mountain West and Mountain Division play Johnson, Price, Conway and Okwoli and Cox need to step up and get open (and catch the darn ball) against the Aggies in Logan. Allen got a bit of his swagger back against Texas State (Old Spice anyone?) and I would look for him to keep improving with his new playmakers against the Aggies. I would look for Ghaifan to anchor the Wyoming defense again against a pretty balanced Utah State offense. If he can be disruptive once again it will go a long ways in Wyoming earning a road victory. Not to sound too obvious but score enough points. This Wyoming defense is good enough to keep the Pokes in most games. The question is can the Wyoming offense score enough points to put the Cowboys in a position to win. For this game, I would put that number in the mid-twenties. In general, it needs to be the skill positions on offense. The receivers and running backs haven’t been good enough nor consistent enough when they are on the field and if that continues Wyoming is going to struggle to win Mountain West football game. I think Allen has played better football in the last couple games and as long as he gets some help from his teammates, particularly the running game, he should be able to have a big game. I think the defensive line has been the story of the season thus far and they will continue their strong play on Saturday. I would look for them to have consistent pressure and cause some turnovers. They need to win the line of scrimmage on both sides of the ball. Ryan Cummings coming back from injury is big, especially in the running game. If they can run the ball effectively the offense will look much better. On the other side of the ball, the defensive line needs to continue to do what they have been doing.